Kate Chopin , The Awakening and Selected Stories. Katherine O’Flaherty was the daughter of an Irish immigrant father and a French-Creole mother. She was educated at the St. Louis Sacred Heart Academy and then made a debut into Southern society. In 1870, she married Oscar Chopin, a cotton trader from Louisiana, and the couple had six children. 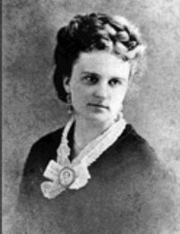 Widowed in 1882, and needing to support herself and her young children, Kate Chopin began to write sketches of her former plantation life, which appeared in periodicals such as Bayou Folk. These received immediate acclaim, as did her first novel At Fault (1890). Kate Chopin published two novels and about 100 short stories in the 1890s. Most of her fiction was set in Louisiana and her best-known work focuses on the lives of sensitive, intelligent women. Her short stories were most popular in her own day and appeared in some of America's most prestigious magazines. After her death her work was temporarily forgotten, but then in the 1920s her short stories began to appear in anthologies, and the public and literary scholars again began to take notice of her. Kate Chopin's book New Orleans Noir: The Classics was available from LibraryThing Early Reviewers. Kate Chopin is currently considered a "single author." If one or more works are by a distinct, homonymous authors, go ahead and split the author. Kate Chopin is composed of 5 names. You can examine and separate out names.